We often talk about how chain hotel sameness is replacing distinctive independent hotel experiences. Here’s a classic example. A recent Wall Street Journal article explains how the storied march of the ducks at the Peabody Hotel Orlando is being discontinued by Hyatt, the hotel’s new owners. 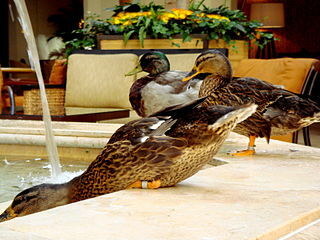 The duck tradition—a twice daily march of the ducks through the lobby to the fountain—dates back to the 1930s at the Peabody Memphis. Marriott also ended the tradition at the Peabody Little Rock when it became the Little Rock Marriott last year. Preserving that ecosystem of distinctive, meaningful travel—helping the “oddball” hotels compete and flourish—is what Stash Hotel Rewards is all about. It’s interesting to find that purpose so aligned with sentiments of the hard-nosed, bottom-line-focused Wall Street Journal.